Tax season is coming, and you may be wondering what you need to do with that W-2 you’re getting in the mail by the end of this month. Now is the time to start preparing for tax season — the earlier you get everything organized, the easier it will be. (and the more you can get back in your tax return). 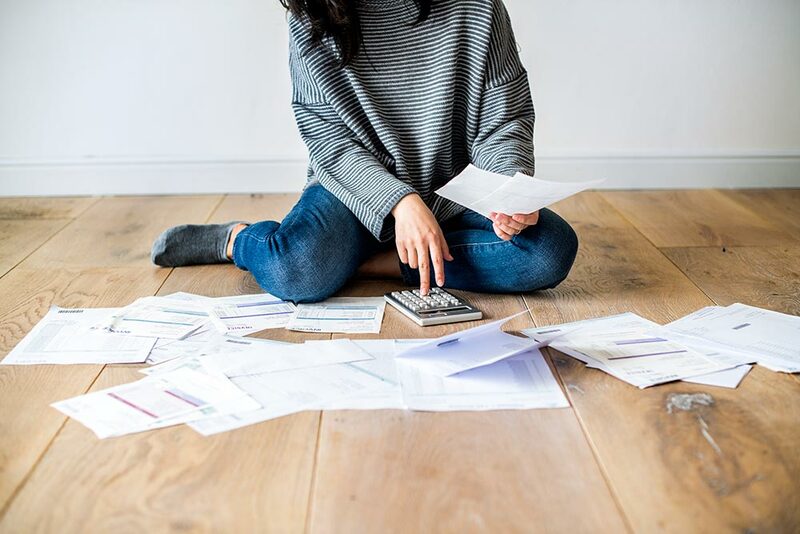 There’s no doubt that filing taxes is stressful and confusing — from dozens of tax forms to checking your deductions, it’s easy to get lost in what exactly you need to do. So how do you prepare for tax season? Here are some tips to stay organized and ready to go before April 15. The IRS has dozens of different forms that you’ll need to receive or fill out before filing your taxes. These forms include employment forms, proof of insurance forms, freelance work forms, and more. Since everyone has different financial situations, there’s no one size fits all for the types of forms you need. What forms do you need for freelancing? How do I access my W-2? W-2 forms are supplied by your employer for work during the past tax year. This form shows the amount of taxes withheld from your paycheck during the last tax year and is used to file federal and state taxes. Most employers mail them, but you should also be able to access them online through your employer’s online portal (if you’re not sure where to find this, ask an HR rep, a manager, or someone else in your company who handles W-2s). This form is used to file an income tax return. There are multiple 1040 forms based on your personal situation — like if you won a certain amount of gambling prizes, have deductions to claim (like student loan interest deduction), and more. The IRS lists these different types of forms on their website. If you do any type of freelance work and made more than $400 during the last tax year, the IRS expects you to report that income. You should receive a 1099 form from any client that paid you more than $600 for work — but even if you don’t, you still have to report how much you made. Take a look at invoices and other statements to calculate a total before you go to file your taxes. W-4 form: Your W-4 form from your employer helps them withhold the correct federal income tax from your pay. This form helps prevent you from overpaying taxes. The IRS recommends looking at this form every year if you’ve experienced any life changes during the last year, like the addition or loss of a family member. Ask your employer to review this form. Tax deductions lower your taxable income and are calculated using the percentage of your marginal tax bracket (based on your annual income). Sound like gibberish? Here’s how to break it down: If you’re in the 25% tax bracket, a $1,000 tax deduction saves you $250 in tax. If you freelance for a few different clients, it can be complicated to keep track of everything you need during tax season. The IRS considers freelancers to be self-employed, so you’ll face additional taxes in the form of self-employment tax. As a freelancer, you’re likely to receive numerous 1099-MISC forms (one from each client), as discussed above. For 1099 forms, you’ll fill them out and send them back to your clients, but also make sure to keep a copy for your records and to do taxes. If your client doesn’t send you a 1099 form, that doesn’t mean you’re off the hook! Present a statement or invoice of how much you made from a client (if it’s more than $600) when you’re filing your taxes. It’s also important to know that the self-employment tax rate is 15.3%, meaning you’re responsible to pay this much of your total earnings. So if you make $4,000 freelancing this year, you owe the IRS $612. This tax represents the Social Security and Medicare taxes that ordinary employees have taken out of their paychecks automatically. As a freelancer, you can also file those as tax deductions not commonly allowed for a regular employee. However, to do this, you need to have appropriate documents — like original receipts — to write these expenses off. The IRS mandates that these expenses must be ordinary and necessary for your “business” to operate, meaning if you would have an item even if you weren’t freelancing, it likely won’t qualify for a deduction. Whether you want to file taxes online or go to an office, there are dozens of options available to you. Going to a tax professional can make the process a little easier, but it comes with a bigger price tag. Filing online, on the other hand, is cheaper but a lot more hands-on. IRS Free File: The IRS site provides a tool where you can prepare and file your federal individual income, and it’s free if you make less than $66,000 annually. For this, you’ll need an email address, a copy of last year’s tax returns, and documents for your income and deductions (W-2 forms and any other relevant forms). The tool also allows you to track your refund so you know exactly when you get it. TurboTax: TurboTax allows you to snap a photo of your W-2 and upload it right into their system. You can also file for free, and their tool easily transfers your information from your federal tax return to your state’s tax returns. TaxSlayer: Their software and products makes it easy to file online. It’s free to use if you’re single, married, or a student, or you can choose paid filing options to maximize your refund. They also have an option specifically designed for self-employment if your income is 100% freelance. H&R Block Free Online Tax Filing: H&R offers a free plan optimized for people who have a W-2, kids, and rent. It includes 45 forms required for filing, and they offer dozens of credits and deductions that you don’t have to pay extra for. In additional to federal and state taxes, H&R Block also includes child and dependent care expenses, student loan interest deduction, tuition and fees statement, and health coverage exemptions in their filing — which a lot of other online filing systems do not include for free. Accountants: You can find accountants based on your location, and they cost anywhere between $100 and $450 an hour. This is a great option for people with complicated tax returns, or people who are nervous about filing on your own. H&R Block: H&R Block has offices nationwide, and you can book an appointment with them online. From there, they’ll send you an email with how to prepare for your appointment to make it quick and as easy as possible. Prices vary depending on your personal filing situation. Jackson Hewitt: Jackson Hewitt also has offices nationwide, and you can book an appointment with them online. They have offices in Walmarts nationwide, and they’re open on weekends and late at night to make it convenient for any work schedule. No matter how easy or complicated your tax returns are this year, follow the advice listed above to make your tax season as easy and convenient as possible — here’s to hoping for a painless, rewarding tax season!